Beside me in times of trouble you will always be. But most of the time everything is alright. But we both will continue our family's name. I know you'll be there 'til the end. 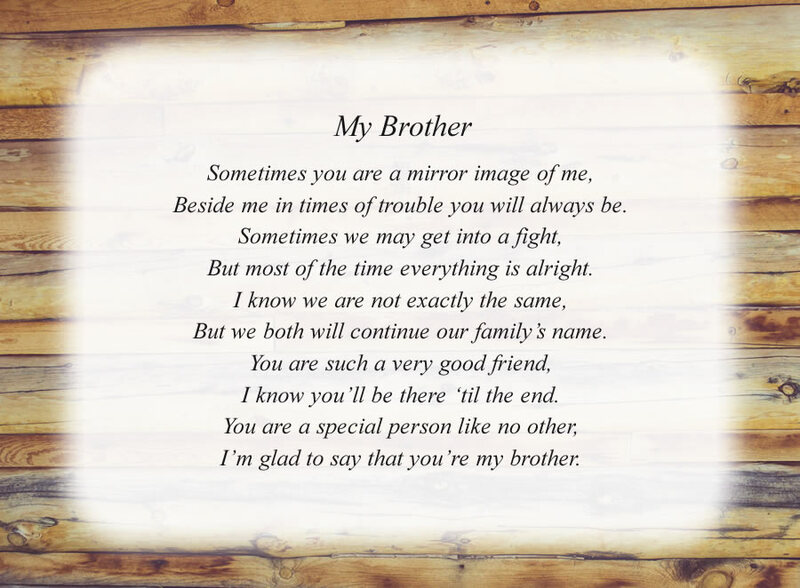 I'm glad to say that you're my brother. The poem, My Brother, is free and printable by opening or downloading using one of the three links below.